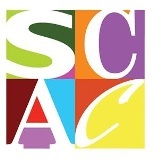 Alabama’s largest literary event will celebrate its 10th anniversary on April 11, 2015. The Alabama Book Festival will host more than thirty-five authors and exhibitors in Montgomery’s historic Old Alabama Town. The family-friendly, free event includes book-related activities for children and adults. Among the exhibitors will be publishers, authors, schools, and literary and arts organizations. In keeping with the Alabama Tourism Department’s designation of 2015 as the Year of Alabama Barbecue, some books and vendors will be barbecue-related. Highlights of the 2015 Alabama Book Festival include appearances by Alabama native Rick Bragg, whose most recent book is the biography Jerry Lee Lewis: His Own Story. Award-winning novelist Ravi Howard will discuss his historical novel Driving the King, about Montgomery native Nat King Cole and his personal driver. “Big Fish” author Daniel Wallace will present his illustrated children’s picture book, The Cat’s Pajamas, and Lynn Cullen will talk about her historical fiction novel Mrs. Poe. 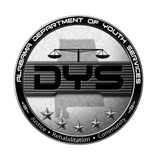 As part of its educational outreach, the Alabama Book Festival Student Readers Group program selects one Alabama-related book per year for high school and college students to read prior to meeting the author for a book discussion at the festival. This year students are reading the memoir Selma, Lord, Selma: Girlhood Memories of the Civil Rights Days and will meet co-author Sheyann Webb-Christburg, who will present at the festival. On Friday, April 10, teachers from around the state are treated to a free creative workshop with several of the festival presenters, produced by the Alabama Writers’ Forum with support from the Support the Arts Car Tag and others. To learn more about the April 10 teacher workshop, contact writersforum@bellsouth.net. 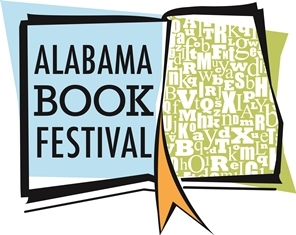 The Alabama Book Festival features writers of fiction, nonfiction, poetry, children’s and young adult books and is made possible by support from the Alabama State Council on the Arts, Old Alabama Town/Landmarks Foundation, Troy University, the Alabama Writers’ Forum, the Alabama Humanities Foundation, the Montgomery City-County Public Library, and other contributors. Volunteers are needed for a variety of tasks at the Festival. To sign up as a volunteer or to see the complete list of authors and exhibitors, visit www.alabamabookfestival.org.